To the left is a kettle with a whole cinnamon and three or four flakes of mace infusing in a pottle of cream. 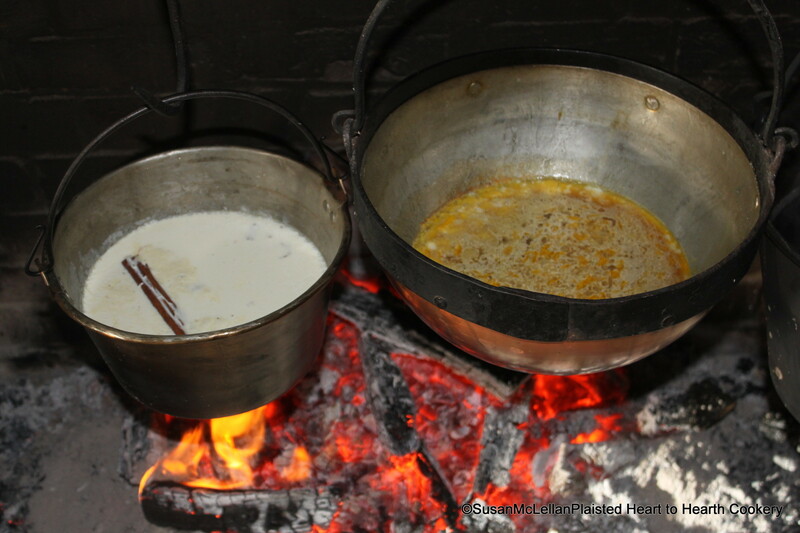 The hemispherical kettle on the right has the sack, eggs and sugar to which is added a Nutmeg grated and a little beaten Cinnamon. Both will be combined for the receipt (recipe) My Lord of Carlisle’s Sack Posset.